Our range of products in our Kitchen Furniture & Accessories offer a practical solution for both storage and functionality. Whether it be a pull out table stored under the cupboard, or a plinth heater under a cabinet, we have the product you need to help make your kitchen look sleek and stylish. 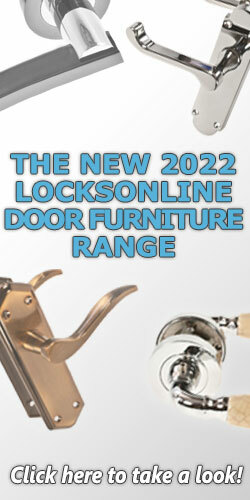 To check our full range of Kitchen Furniture and Accessories, please see below! Our range of Chopping Boards, Knife Blocks and Spice Inserts will compliment your kitchen by offerin..
Want storage in your cabinet drawers? Take a look at our range of Drawer Inserts! Whether it be fo..
For holding your cutlery and utensils, this is our range of Cutlery Inserts. Designed to hold your ..
Our Pull Out Tables are an ideal solution for a discreet sleek table alternative. This can be fitte..
Our range of Pull Out Ironing Boards, Sleeve Arms and Replacements gives you the option of storing y..
Our range of Stepfix Step Stools offers a versitile useful step tool that can be stored away in your.. If you require fittings for setting up your Plnth Drawers, you are in the right place in our Plinth ..
A handy tool for holding your Towels in your Bathroom, this is our range of Towel Rails. Set up on ..
For a high quality heating solution for your kitchen, check out our Plinth Heaters! This allows you..
Our range of Rails, Pole Systems & Hanging Accessories offers a solution for holding your kitchen eq..
Coming in either plastic or aluminium, these are our range of Undersink Base Unit Liners. The liner.. Designed for all weather conditions, we have a range of Anti Slip Rubber Mats. These are designed t..
• For use with pole sections• Set consists of:- 2 end sections with pre-fitted brackets- Fixing set ..
• For use with 15-18 mm board (flush fitting with 15-16 mm board)• Pre-fitted gasket ensures snug fi..
• 55 mm height• Ash..
• Height x depth: 60 mm x 55 mm• Screw fixing• Chrome plated steel wire..
• For holding heavier kitchen appliances• In fully extended position the shelf lies flush with the w..
• For screw mounting under a cabinet, shelf or desk top• Two adjustable dividers and fixing screws i..
• Suitable for 400*-600 mm or 800-1000 mm drawer widths (*450-600 mm if framed unit used)• Insert ha..
• For use on the side of the drawer inserts, when drawer is wider than cutlery insert and only 1 ins..
• For drawer widths from 600 mm - for drawer widths wider than 600 mm there will be spaces left in b.. These tension springs are a direct replacement for the foldaway fittings seen further down the page ..
• To suit drawers 400-1000 mm• 55 mm height• For use with solid oak drawers, Cat. No. 557.24.4XX..
• Width expanding, 50 mm depth, for use with base set, for 500 mm deep drawers• Beech/plywood, natur..
• 300 mm width x 510 mm depth x 152 mm height• Cut out dimensions: 275 mm width x 490 mm depth x 73..
• For 600 mm drawer width• Tray dimensions: 499 mm width x 40 mm height• Steamed and oiled beech..
• For cabinet depth 600 mm• For cabinet widths from 300 mm to 1000 mm• With horizontal cutlery compa..
• Self adhesive• Height x depth x width: 44 x 99 x 29 mm• Lacquered beech plywood..
• Dimensions: 1805 mm height x 918 mm width x 753 mm depth• Digital management system carefully main..
• Right and left handed sides included• 421 mm depth, to suit 450 mm deep drawer• Beech/plywood, lac..
• For bridging drawer widths• Includes 2x spacers to enable insert to suit all popular drawer sizes..
• Fixing materials included• Black plastic with magnetic strips• Tools not included..
• Electrically adjusts height of wall cabinet diagonally down/forward• With automatic safety stop pl..
• Consists of:- 1x pin board- 7x magnets• 360 mm height x 285 mm width x 23 mm depth• Stainless stee..
• Packed set consists of:- 21x 543.04.490 - Hanging rail with fixing materials, 750 mm length, matt ..
• For installation underneath cabinet or worktop• Rustic beech, clear lacquered..
• For installation under wall units• Accessories shown included - stainless steel with rubber grip• ..
• Suitable for 16-20 mm thick cabinets• Set includes:- 2x Storage baskets, polished chrome steel- 2x..
• Minimum installation depth 300 mm• Steel• Chrome plated..
• For 600 mm drawer widths• Includes 2 x spacers to enable insert to suit all popular drawer sizes• .. Storage jar insert, for 400 mm drawer width, 6 storage jars inc.
• For drawer widths 400 mm• Overall height: 175 mm• Steamed beech, clear lacquered.. Storage jar insert, for 500 mm drawer width, 8 storage jars inc.
• For drawer widths 500 mm• Overall height: 175 mm• Steamed beech, clear lacquered.. Storage jar insert, for 600 mm drawer width, 9 storage jars inc.
• For drawer widths 600 mm• Overall height: 175 mm• Steamed beech, clear lacquered..
• For standard 400 mm cabinet width and 600 mm depth• Formed of 3 mm grained material with a generou..
• For 500 mm drawer width• 473 mm depth (including 50 mm spacer to be placed at the back of the draw..
• For 500 mm drawer width• 423 mm depth, to suit 450 mm deep drawer• To suit 500 mm deep drawer orde..
• For use with sink shown in Related Products..